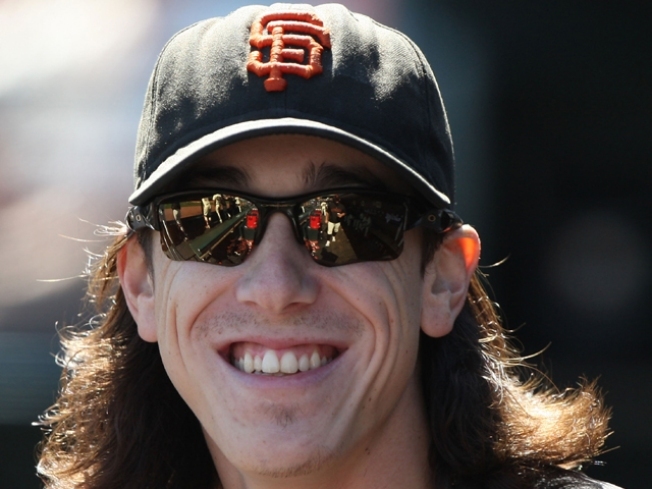 Tim Lincecum got busted for pot. Giants pitcher Tim Lincecum faces misdemeanor charges after allegedly getting caught with a small amount of pot and a pipe. He was initially pulled over in I-5 in Washington state for speeding, but the officer smelled something that lead to a different kind of citation. The Columnbian, a newspaper in Clark County, Washington, broke the story Thursday. This all happened fairly early in the morning last Friday, when a state trooper pulled over a 2006 Mercedes at 8:23 a.m. for doing 74 mph in 60 mph zone. After smelling pot, he asked the driver to hand it over. Lincecum, 25, then pulled out a small pouch and a pipe. Washington State Patrol trooper and spokesman Steve Schatzel said the exact amount was 3.3 grams, which is considered enough for personal use only. Baseball and theatre are center stage in San Francisco and in the spotlight are two friends from elementary school, the Giants' Tim Lincecum and Wicked's Vicki Noon. The stash was about the size of your thumb, so the trooper cited Lincecum for misdemeanor possession of marijuana and drug paraphernalia. That is the normal protocal, according to Washington officials. Two officers interacted with Lincecum. One of them says he did recognize the name. Lincecum is pretty well known up north. He grew up in Bellevue, Washington, and played college ball at the University of Washington. 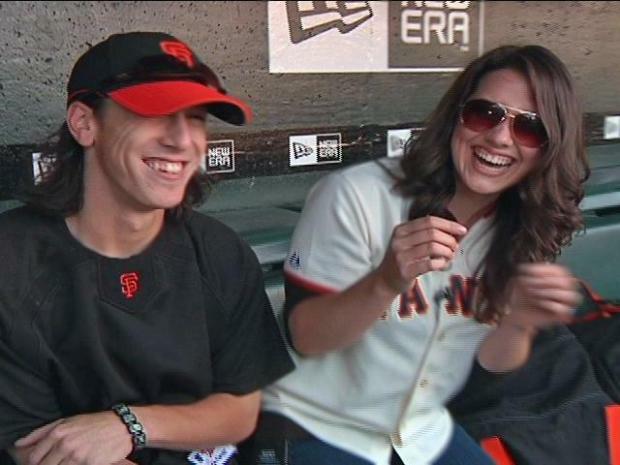 NBC Bay Area's Laura Behnke goes 1-on-1 with Lincecum on the biggest day of his baseball career. Lincecum won the Cy Young award last year. He is the Giants' biggest star and is expected to get a $10 million raise for 2010 through arbitration. The speeding ticket will cost him $122. It's not known how much the added citation will cost. And it is still to be determined if the incident will have any effect on his day job.